Queens Park Rangers midfielder Joey Barton has confirmed he has undergone the first part of his medical at Marseille and will complete it on Thursday ahead of a potential move. The switch had looked in doubt earlier this week when discussions with Marseille broke down, but Barton travelled to France on Wednesday for further talks with the Ligue 1 club. It appears those have gone more smoothly, with the midfielder having undergone the first stage of his medical. He tweeted on Wednesday evening: "Just finished the 1st part of my medical at Marseille. It's great to finally be here. Back tomo to finish it off..."
The 29-year-old's relationship with QPR has deteriorated rapidly over the summer after his behaviour in the match against Manchester City on the final day of last season saw him charged with violent conduct and banned for 12 games. The Hoops have frozen out the once-capped England international at Loftus Road, stripping him of the captain's armband and not giving him a squad number for the new campaign. 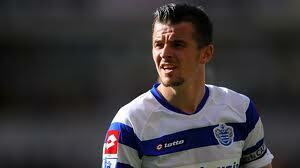 Barton has made it clear he wants to leave West London for Marseille and QPR have said they will allow him to leave on a free transfer. Marseille coach Elie Baup confirmed earlier on Wednesday the club are in talks with Barton, but that a move has yet to be agreed. Baup had praise for Barton's qualities as a player but warned that if he is to become part of the set-up at the Stade Velodrome then the controversial Liverpudlian must fit into the team ethic.